Ross & Cromarty Roots | Lochalsh, Cnoc nan Aingeal (Angel Hill). Lochalsh, Cnoc nan Aingeal (Angel Hill). 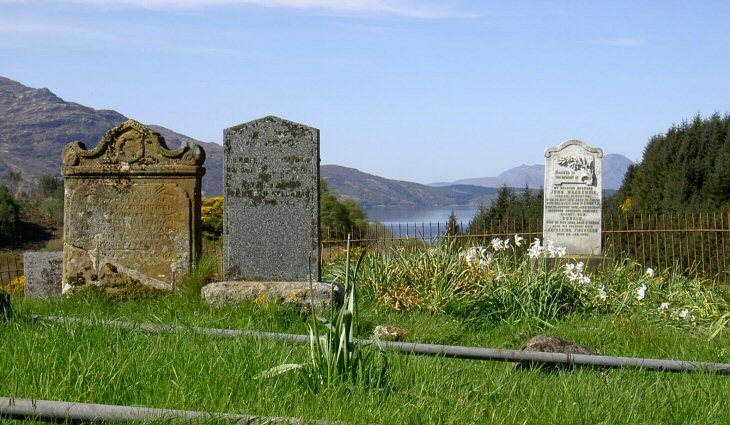 A small burial ground high above and east of the main burial ground at Kirkton, near Reraig, Lochalsh. [View looking westward towards Skye]. Picture Added on 19 September 2010.